Drive File Stream is G Suite’s enterprise-focussed app for accessing Drive files on demand via Mac or PC. Google is now updating it with features from the Drive plug-in for Microsoft Office, which is being killed in June. Launched in 2017, Drive File Stream allows users to access Team Drives and other documents stored in the cloud on demand. This Mac or PC app for G Suite customers will now incorporate the Google Drive plug-in for Microsoft Office that allows Windows users to edit, email, and share Office files stored in Drive. Two key advantages of this integration include new Outlook features, and the ability to open Drive files through the regular system menu for a more native experience. For examples, files can be saved to Drive by using File > Save and selecting Drive File Stream. This also works to open Drive documents from the File > Open menu. 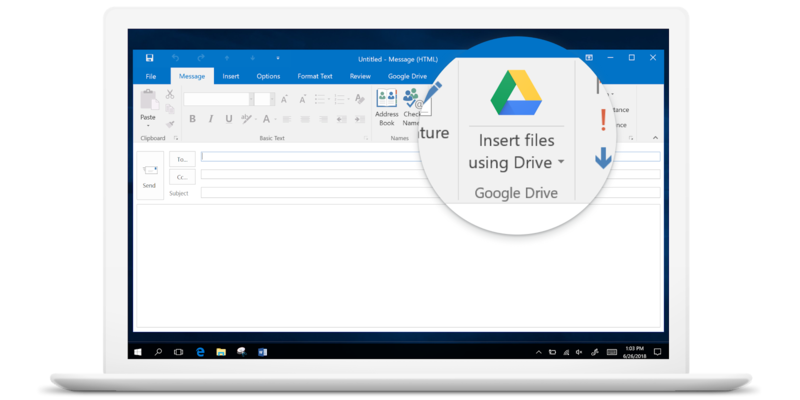 New process to save to, or open from Drive: Drive File Stream users can save and open Drive files through the regular menu, rather than using the Google Drive plug-in for Microsoft Office interface. New Drive / Outlook integration: The update to Drive File Stream will include a plugin to manage Google Drive files from Microsoft Outlook. This will make it easier for users to use Google Drive without leaving the Outlook interface. This Outlook integration allows email attachments to be saved to Google, while any Drive file can be attached when composing a message. This new tool will help ensure that recipients are granted proper permissions and access. The old Drive plug-in will be deprecated on June 26, 2019, with Google advising admins to transition or update to version 30.1 of Drive File Stream before that date. Starting today, Drive for Office plug-in users will be prompted to uninstall the Windows app and then download Drive File Stream.